As we head deeper into the summer months, we will start to see the words "heat index" thrown out by meteorologists to the public. In fact, you'll hear it over the next few days as heat and humidity build in! But what exactly does this mean? 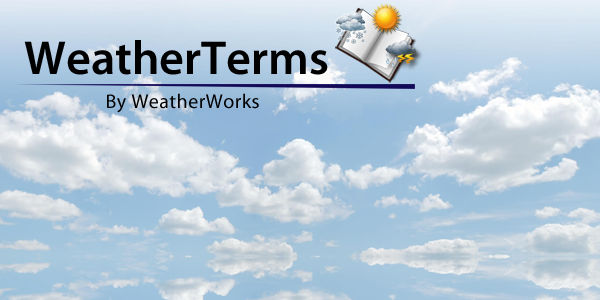 While most people may have a pretty good guess at what the heat index is in general, the science behind the term is often lost in translation. Simply put, the heat index combines the air temperature with the relative humidity in an attempt to determine a human-perceived equivalent temperature - or how hot it actually feels. For example, very high levels of humidity can make a 90 degree temperature feel like it's well over 100! What exactly is the reason for this, you may ask? Usually, the body cools itself by perspiring, which in turn evaporates and carries heat away form the body. However, when the relative humidity is high, the evaporation rate can be significantly reduced - and this process is compromised. As a result, the body has a harder time removing heat from itself, which makes it feel hotter than it actually is. 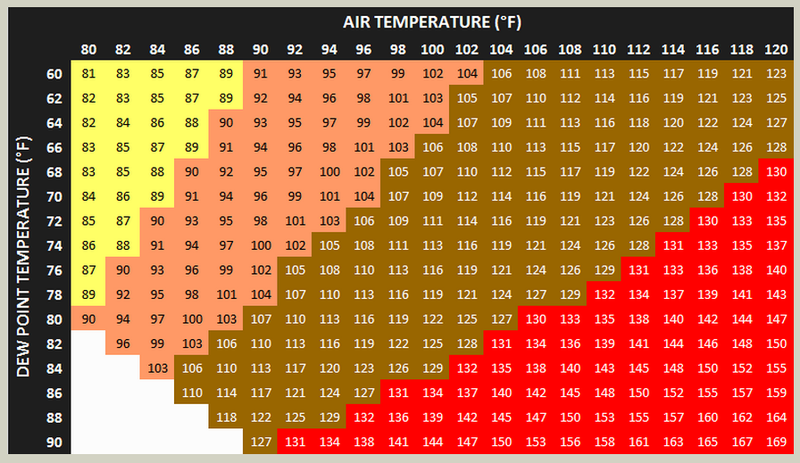 Included below is the "Heat Index Chart," which shows expected numerical values based on temperature and relative humidity, along with the anticipated impacts on the human body during exposure.